The report notes that neither ABC, which airs “The View,” nor Behar has commented on the controversy. “It was the second day that she ignored the issue,” the AP adds. As we reported Thursday, Behar has come under criticism since a photo surfaced from the ’70s in which Behar appears to have darkened her skin for a costume. You can click here to see the photo. Are they waiting for it to go away? Shame on you ABC. She should be fired. ABC tipped their hand on how they plan to address this. They will do nothing. Obviously the “talent” was instructed NOT to discuss this in any way, shape or form. Somehow, if something about a conservative affiliated with the show of a similar nature had come out, ABC would probably have encouraged “robust and intensive conversation.” Whoops, wait…Megan McCain doesn’t “identify” as a conservative. At least not on Mondays, Tuesdays, Wednesdays, Thursdays or Fridays. This is BS… You (Joy) can’t sit and condemn others and expect to get a pass. You either have to be held accountable or no one has to be… This is the problem with these issues, people take aim at what suits their agenda! You can’t call for the resignations of people and yet you get a pass? I don’t think so! What a double standard! If this vulgar demagogue were a Republican, she’d already be out the door! ABC says NOTHING! Liberals are the biggest hypocrites! And where is that Republican-hater Goldberg? No comment from her! 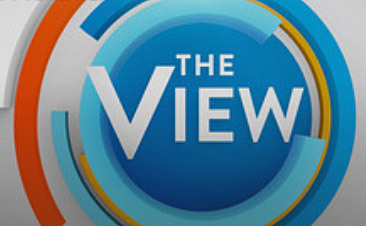 The View is now not talking about the VA crisis: they are speechless! FIRE HER AND FIRE KIMMEL. THEY ARE RACISTS!!!! !